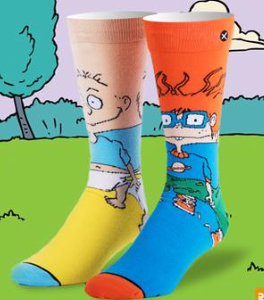 Have you seen my socks (by Odd Sox)? They are so, so, so cool. 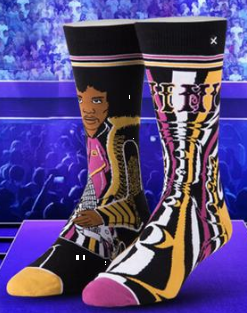 Literally everything about these socks rocks. The box, the packaging, the material of the socks, the patterns, and the fit. Oh, the patterns! I am now the coolest kid on the block. The “of the month” program comes in a small hard box that includes two pair of socks and stickers. The box is made of a hard materials and covered in a colorful mosaic of many of their socks. The box will make a great holder of my keys and coins in the hallway. The knit socks are comfortable and warm while the patterned socks are smooth and snug. 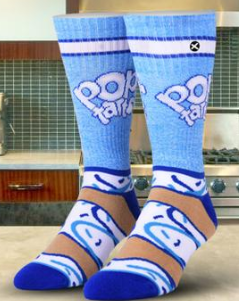 When I wear these socks, I just want to skate across the kitchen floor and then curl up on the couch. I didn’t know which socks to wear first! I have the Von Miller patterned socks and the fireball socks. I immediately ordered more pair after I put the first one on. I cannot wait to see my new ET socks, my Jaws socks, my Jawbreaker socks, my camo socks, and my Wheaties socks. I’m so too cool for school! Using words like “snug” and “comfortable” simply do not do these socks justice. The fabric molds smoothly to my feet. It is also breathable and airy. 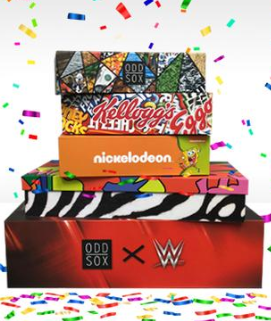 And I can get a new Sox Box every month?!?! I am not worthy!